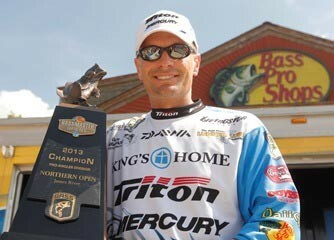 March 14th marks the beginning of the 2013 Bassmaster Elite Series Season. 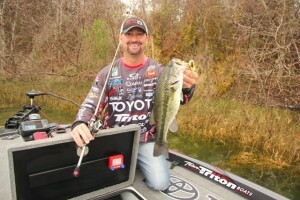 And it’s a pretty sure bet that Gerald Swindle is the only pro with an Etch A Sketch toy in his boat. 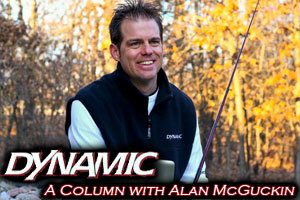 Ironically, it has nothing to do with fun and games for bass fishing’s funniest pro. But instead, a means to erasing the past, forgetting about the bad, and focusing on the next step to success. 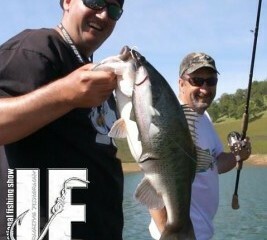 What most don’t know is that Swindle is one of the most complex anglers that pro bass fishing has ever known. Beneath the boatloads of humor is a 43-year-old mind that thinks far deeper than his hilarious quotes on the weigh-in stage will ever reveal. And that can be a problem in a sport where success is largely played out between the ears. 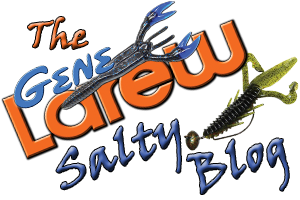 Gerald’s wife LeAnn heard him telling that story, and because she’s one of the most supportive wives any angler could dream of marrying, decided that she’d buy Gerald an Etch A Sketch as a Christmas stocking stuffer a few months ago. “We’ve tried laminating and taping motivational quotes on his boat, and last year we used a stuffed animal we called Lucky George to help keep his mind right. This year I thought putting an Etch A Sketch in his boat would serve as a great reminder of the advice he gave that man in his seminar,” said LeAnn. “I’m working hard on P.M.A. – that stands for Positive Mental Attitude. Sometimes with all the demands of life and this busy career, staying positive ain’t easy, but the Etch A Sketch helps me to overcome bad days in fishing … and in life,” explains Swindle, winner of nearly $2 million dollars as a pro. Swindle knows about bad days in life. Ironically, on this day, exactly five years ago, March 14, 2008, Gerald had the very worst day of his life, when pancreatic cancer took away his beloved brother Tony. They weren’t just brothers, they were buddies. They hammered nails in the Alabama heat together as house framers, and flopped 4-pounders into the boat as team partners at evening fruit jar tournaments on Lewis Smith and Logan Martin. An Etch A Sketch would have been handy during the 2008 Elite Series season, as the mind-distracting, heartfelt anguish Gerald battled in questioning his brother’s young death was reflected in his only failure to qualify for the prestigious Bassmaster Classic in the past 10 years. With mental reminders like the spinnerbait hanging from his Tundra’s rearview mirror, and a tattoo on his bicep, not only does Swindle honor Tony daily, but he’s reminded that Tony is cheering him to move on. Four consecutive Classic qualifications have proven that in fact, Gerald has moved on in a positive fashion. 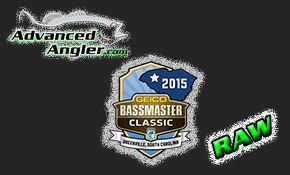 And so today, March 14th … with an Etch A Sketch on board … he’ll begin working to qualify for the 2014 Bassmaster Classic on his favorite all-time reservoir – Lake Guntersville – located in Gerald, Tony and LeAnn’s home state of Alabama. “The way I’m wired – sometimes you just need a little reminder,” concludes Swindle.